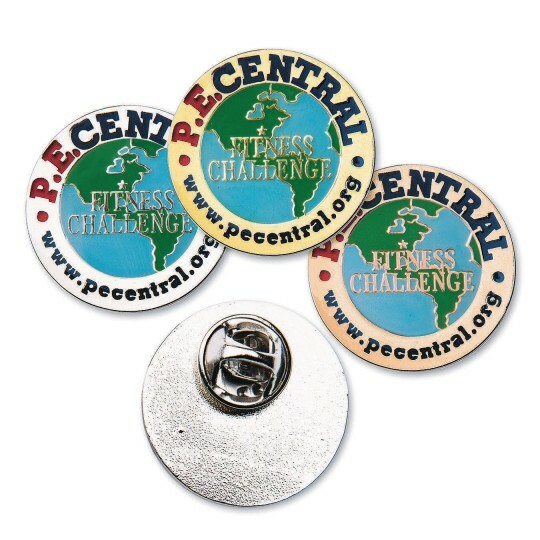 Reward your kids for completing the Gold Level of the PE Central Cooperative Fitness Challenge! Reward your kids for completing the Gold Level of the PE Central Cooperative Fitness Challenge with a 1” diameter award pin available in Gold, Silver, or Bronze. The Cooperative Fitness Challenge is an electrifying program that requires children to compete in innovative fitness challenges that are not only fun, but also build teamwork and cooperation skills, as most of the challenges require children to work together to complete. It is composed of a series of six fitness challenges that focus primarily on a child’s cardiovascular endurance and muscular strength. Four of the challenges involve kids working with partners while the other two are individual challenges. Our goal was to design a series of challenges that reduced the feeling of isolation and apprehension sometimes associated with fitness tests and challenges. To do this, we designed challenges that combine fun motor skills (e.g., throwing and catching), fun equipment (4 of the challenges require balls of kids choice to be manipulated) and most importantly, working together! The Challenge is designed to be worked on throughout the school year, rather than administered only once or twice a year. This is a great program for before or after school, lunchtime, or recess. It is popular with both physical educators and classroom teachers. 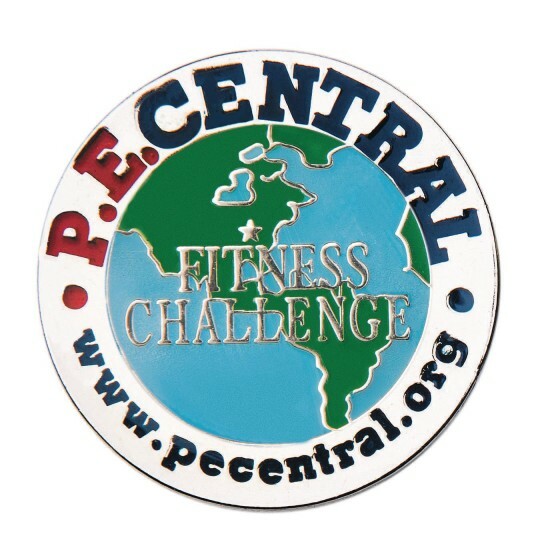 Parents can also be encouraged to visit PE Central to learn more about the Challenge and how they can work with their child to improve their physical fitness. We also encourage children who are more physically fit to encourage and work with children who are less physically fit to help them attain a pin too. 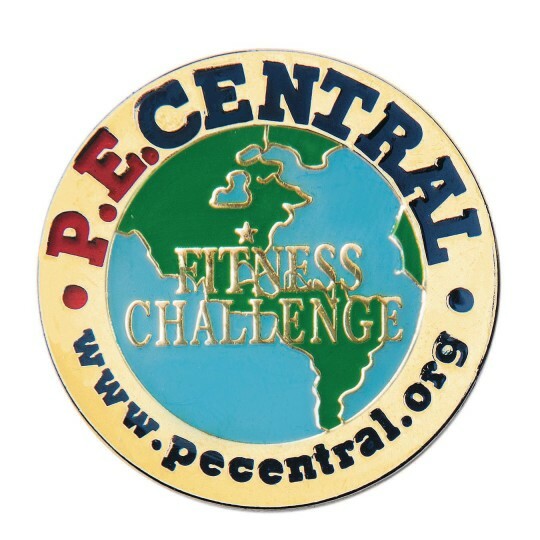 The Challenge is intended to be used by teachers in ways that are developmentally appropriate and as a tool to motivate kids to practice and improve their physical fitness and cooperation skills. It is NOT intended as a way to assess a physical education program or as a way to assign a grade in physical education. It is also not intended to compete with any of the fitness testing programs currently available. Our hope is that the Cooperative Fitness Challenge will be a positive experience for all children, and something that will motivate and encourage them to become more physically fit.